With the increasing drive from Welsh Government for policy and activity to be led at a regional level, the Engagement Teams were set up to work across 4 regions. These align with the established and emerging regional structures such as the Cardiff Capital Region and Swansea City Deals, the North Wales Ambition Board and Growing Mid-Wales. 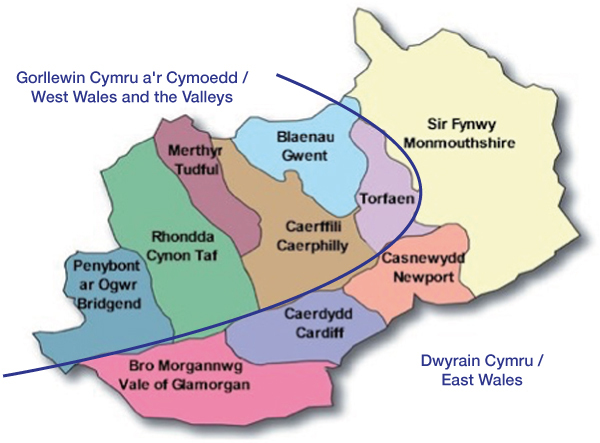 The geographical and administrative area covered by the South East region mirrors that of the Cardiff Capitol Region (CCR). See here for more information on the CCR.